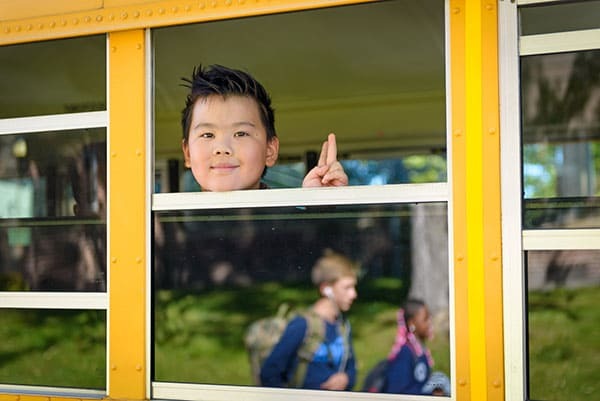 Community of Peace Academy provides free school bus transportation to and from school for all students who live within the city limits of St. Paul, and who are not within walking distance of the school. CPA has contracted with Centerline Charter Corporation to provide school bus service. Each August, a notice is sent to the home of all enrolled students with Bus Stop Corner, Pickup Time and Route Number. Each student riding the bus will receive a separate notice. Changes in bus routes require written approval from a Parent or Guardian, and take two to three days to process. Beth Williamson, CPA’s Transportation Coordinator is available between the hours of 7:00 a.m. and 3:00 p.m. at 651-280-4505 or via email at bethw@cpapk12.org to respond to transportation questions or to accept bus change requests. If you require immediate transportation assistance outside of the hours of 7:00 a.m. and 3:00 p.m., please contact the Centerline Charter Corporation dispatch at 651-482-1794.